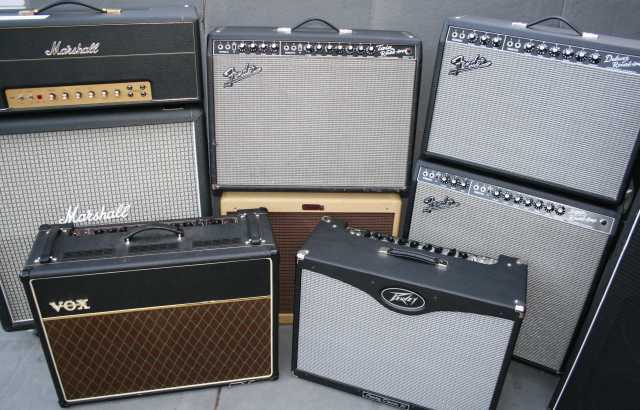 All Pro Amps takes pride in supplying top of the line guitar and bass amplifiers, drums, keyboards and accessories to satisfy the most demanding of backline rental and studio instrument rentals. We service and maintain our own gear, allowing us to offer you the best prices and service you've come to expect. Let us know what you require for your event. If you have a technical rider, email us a copy and we'll put together a timely proposal. Our Equipment List is updated regularly. If you don't see what you require, chances are good we'll be able to acquire what you need. We have local partnerships to help provide you with the widest possible selection of professional gear. We can deliver, set up, tech your event, and tear down. Denver area delivery/set up and tear down starts at $50 each way. Out of town rentals add $1.50/mile to the local rate. Are you short-handed and need a sound engineer or need us to stage tech, drum tech, or manage your stage for your event? We can help you find a solution that suits your needs. Do you need cartage for your gear? We can do that as well. Call us now at 303-322-1775 or use our Contact form to tell us about your event needs. We accept Visa, Mastercard, American Express, cash, company checks, and Paypal.